We all know the importance of dental hygiene and the need to brush our teeth twice a day at least and to be honest a reasonable percentage of people do actually do this. However, there is one thing that people do less often and that is changing their tooth brush on a regular basis. This in itself is a major problem and to stress why it is important we can look at reasons why you should change your tooth brush every 3 months. 1. Your tooth brush becomes worn down. 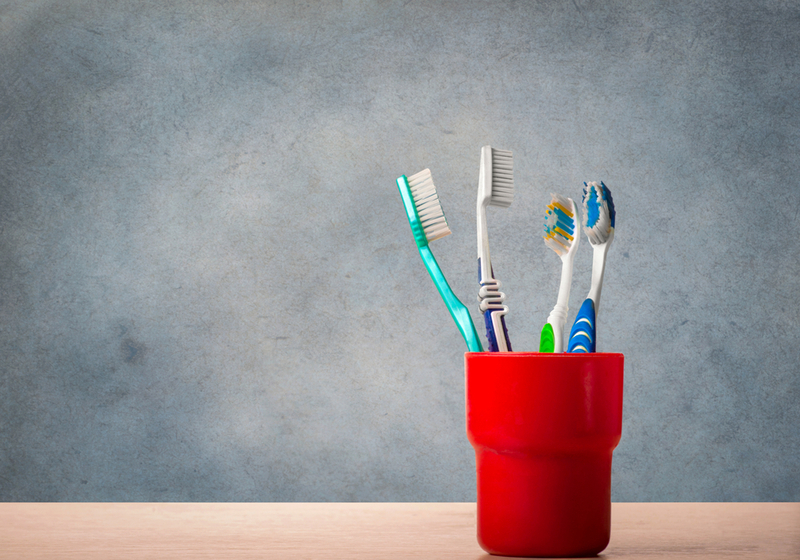 After some 3 months your tooth brush is going to be worn down and that does mean that it is not going to be as effective as it could be when it comes to getting rid of that food in our mouth. It will also not remove plaque from near the gums, so you are at risk of developing gum disease as a direct result. The reason for this is because the bristles are not just going to be worn down, but they are also going to be out of place and that is why it is no longer as effective as it perhaps could be. It might be able to get some surface material off, but the harmful stuff is still going to be on there and that is where the problems can come in. 2. There will be a build up of bacteria. Another reason why you should change your tooth brush is because there is going to be a build up of bacteria on there no matter how well you clean it. You can scrub that tooth brush clean, but it is just a fact that bacteria that is in your mouth will make its way back onto your brush and then you can re-infect yourself as a direct result. This bacteria can lead to all kinds of infections, so changing your brush on a regular basis is one way of preventing that from happening. The scary part is that research has shown that up to 10 million bacteria can actually live on a single tooth brush and that is going to lead to a high probability of you being able to pick up some kind of infection. This is made worse if you already have damaged gums or a mouth ulcer as that gives the bacteria an opening to take advantage of and it is certainly not going to be shy in doing that. 3. It removes the chances of other bugs getting into your system. This point is more aimed at when you have had the common cold, a cough, or flu because if that is the case, then it is in your best interest to change your tooth brush no matter how old it may be. The reason for this is because there can still be aspects of the virus on your brush, as you have hopefully still been brushing even when ill, and it could lead to you taking the virus back into your system and it making you ill once again. This is especially true if you already have issues with your mouth as your immune system will be lower and more likely to fall victim to the bacteria on the tooth brush. It is such a simple thing to change it in order to prevent it from happening that it is difficult to see why anybody would not do it in the first place. Interestingly enough, the tooth brush itself is not protected from bacteria when you first buy it, which is why you should soak it in antiseptic mouthwash before you even use it. It is certainly not wise to just start brushing out of the box. 4. It can prevent decay. It has been shown that replacing your tooth brush every 3 months can reduce the chances of you eventually suffering from tooth decay. The reason for this is that it will be harder to get into all of those little corners and between your teeth to get rid of all of that material that builds up and this is what can then lead to decay. You need a tooth brush to have strong enough bristles, or enough power in the case of an electric one, to remove the tartar, plaque, and sugar that is on your teeth or else there is very little point in cleaning them in the first place. Of course it has to be added that you need to floss at the same time, but your tooth brush should still be the main mechanism for preventing decay and if it is unable to get into those corners, then it does not matter how much money you spent on it as it means it is not doing its job correctly. 5. It is just so much more hygienic. Overall, the main reason why you need to change your tooth brush so often is because of one over-riding reason, it is just much more hygienic. Your mouth is actually quite a delicately balanced ecosystem all on its own and it does not take much for that to be thrown out of balance. Just as you need to be careful about what you eat or if your hands are clean and hygienic, then the same can be said about your tooth brush. However, the problem is that it is difficult to know if your tooth brush is as clean as it could be even if you take all of the relevant precautions that you could read about online. Changing it on a regular basis removes those concerns in an instant, which is why dentist around the world recommend it and why it is seen as being absolutely basic advice. As you can see, there is a real need to change that tooth brush every 3 months or you could be making life harder for yourself regarding your general health. When you think about it, this is not exactly something that is difficult to do and a brand new tooth brush is not exactly that expensive, so is it worth taking the risk?